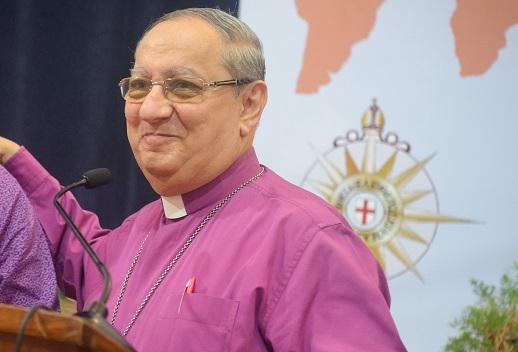 A senior Anglican archbishop from the Global South called for the Church to be “ready to sacrifice their lives for the sake of Christ” in the face of persecution, restrictions, terrorism, and violence carried out in the name of religion. Archbishop Mouneer Anis of Cairo was addressing archbishops and bishops from some of the most difficult places in the world in which to practise the Christian faith: Sudan, Nigeria, Uganda, Rwanda, Kenya, Burundi, Southern Africa, West Africa, Indian Ocean, Myanmar, Sri Lanka, Bangladesh and South East Asia. More than 100 delegates also discussed the importance of ecumenical and inter-faith dialogue. Guests* at the opening session included representatives of the Vatican, Coptic Orthodox Church and Al Azhar University in Cairo, the seat of Sunni learning. Saeed Amer.Michael Adel, Bridges Cultural Center. The leaders of the Anglican Communion’s Global South (the world’s third largest Christian denomination, after the Roman Catholic and Eastern Orthodox Churches) – which is home to 72 per cent of the worldwide Anglican population, or about 62 million people – discussed critical challenges facing them, including poverty, the refugee crisis and religious violence. 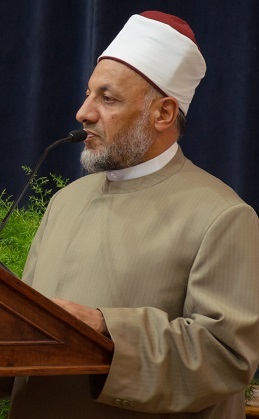 Archbishop Anis said the Church in the Global South had many challenges and weaknesses, and highlighted the prevalence of disease and “polygamy, tribalism, corruption, and harsh treatment of women”, as well as “false teaching” of the prosperity gospel, and the teaching of the Jehovah’s Witnesses and Mormons. He also warned of an “ideological slavery” resulting from “some Western churches and organisations us[ing] their wealth and influence to push their own agendas in the Global South”. He continued: “We need to be aware of this, and resist all kinds of slavery, whether financial or ideological”, or else face “cultural defeat and captivity”. Bishop Emeritus Musk also praised the fifth-century Council of Carthage, which took place in what is now Tunisia, at which it was decided that no diocese had the right to discipline leaders in another, despite a deep cultural divide within the Church. Bishop Musk described the Church at that time as being riven between a Latin elite that advocated a compassionate response to Christians who denied their faith under persecution, and local Berbers, who insisted upon faithfulness to Christianity until death. Speakers at the conference emphasised the Church’s North African heritage, challenging the view of the Church as a foreign imposition foisted on Europe’s former colonies. American Canon Dr. Ashley Null, highlighted the “deep dependence” of Archbishop Thomas Cranmer, one of the architects of Anglicanism, on St. Augustine, whose bishopric of Hippo lies in modern-day Algeria. Dr. Null, who is writing a five-volume study of the private theological notebooks of Archbishop Cranmer, noted that “in his day, Augustine was derided as the son of a Berber who spoke Latin with an African accent”. On the second day of the conference, the bishops had a 90-minute audience with President Fatah Al-Sisi, who told them Egypt was keen to guarantee freedom of belief and worship for all its citizens. Egypt’s Coptic Christians have complained of targeted attacks worsening again this year. *(Bishops from North America and Australia joined the six-day conference (3-8 Oct.) in the Egyptian capital. Four bishops from the UK, including the Bishop of Durham Paul Butler, were there as guests, with the knowledge of the Archbishop of Canterbury Justin Welby).